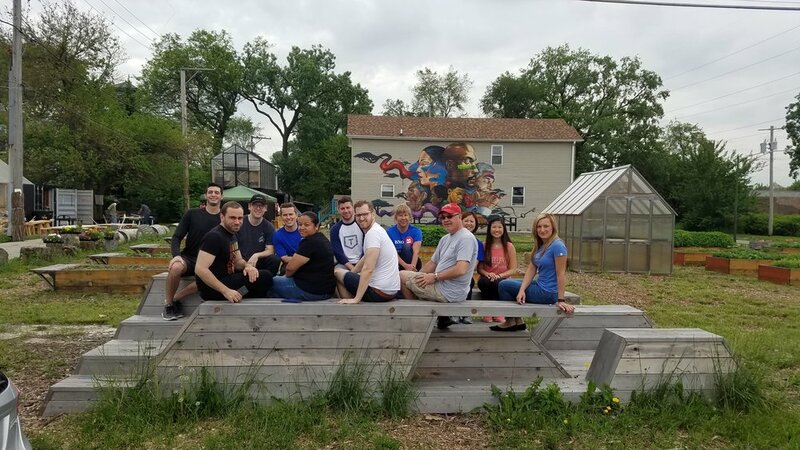 On a rainy Thursday morning, a group of more than 30 people from the Hive Chicago Learning Network gathered at the Perry Ave Commons to unlearn, unmeet, and reconnect. Hive Chicago is a dynamic group of educators, youth development professionals, and their affiliated organizations who believe in the promise of connected learning. Together, they work to transform the educational experiences of youth and cultivate an ecosystem—fueled by technology and open innovation—that produces independent, lifelong learners. The Hive is part of the newly formed, Chicago Learning Exchange, an organization whose mission is to inspire and support innovation that equips digital-age learners and leaders to close Chicago’s opportunity gap. Hive Chicago hosts monthly meetups that create a space for networking, generating ideas, sharing practices, and problem solving for individuals and organizations working directly with youth. At least once per year, the Hive hosts an “Un-Meetup,” an open, agenda-free time to reconnect, celebrate, and have fun. 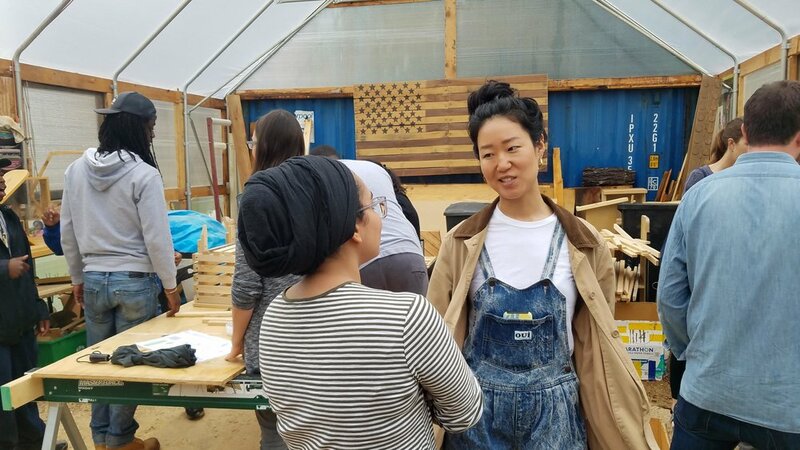 This year’s Un-Meetup took place at Sweet Water Foundation’s Perry Ave Commons and centered on the theme of Connect + Make + Learn. At the June Un-Meetup, the theme of “Connect + Make + Learn” came to life as participants experienced how SWF practices Connected Learning and flips the traditional classroom setting upside down in the Think-Do House. The Think-Do House is a formerly foreclosed home that was transformed to a community wellness and learning center by SWF. Each space within the home functions as a classroom, gathering space, working space, and a space to create connections. Rather than a traditional classroom, the Think-Do House offers SWF Apprentices and visitors an opportunity to engage in hands-on and active learning in an inspiring environment. 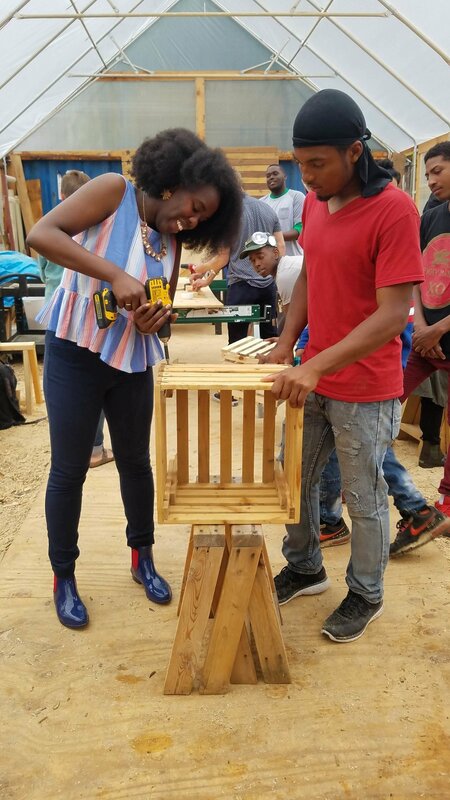 After a brief round of introductions between Hive members and the SWF team, attendees explored the Commons and engaged in activities ranging from screen printing to making a wooden, fractal seat from reclaimed lumber. Hive members also took part in an interactive workshop and demo led by Brittany Jones, Community Manager for Applied Digital Skills at Google, to learn about Google’s free, video-based, and online curriculum that prepares students of all ages for the growing number of jobs that require basic digital skills. Despite torrential rain, the Hive Un-Meetup at the Commons was a great time for all who were able to weather the storm. First Annual Juneteenth @ the Commons!